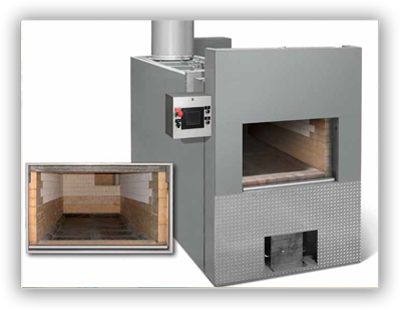 Cremation Systems CFS2300 human cremation chamber has a recessed hot hearth design which accommodates large cases, greater than 750 lbs. Automatic operation is based on case and container weight, no timers, switches and guessing for the cremationist. Tek Marshal internet retort diagnostics and remote access reduce the need for on sight repair technicians and provides technical guidance during cremations. 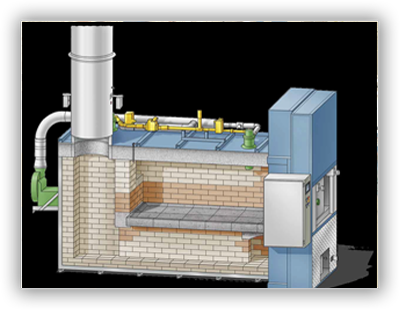 Cremation Systems' Quick Change modular hearth tile system utilizes pre-cast and cured tile specially designed to offer the highest resistance to these adverse conditions. Hearth replacement with a traditional cast-in-place hearth requires the use of jackhammers, refractory mixers, specialized labor and on-site curing. The Quick Change system offers the fastest repair option in the industry. Full hearth removal and replacement in 1 day no curing or dry out cycle required. 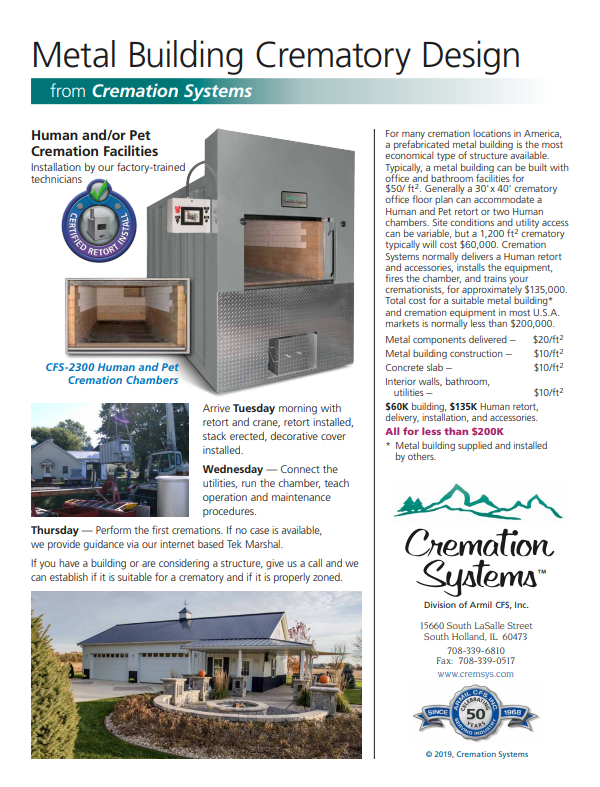 Cremation Systems/Armil is one of the few cremation furnace manufacturers who install the equipment they build. 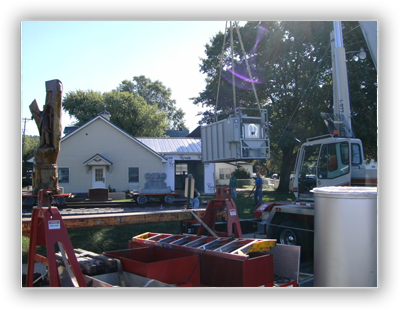 Trucking, Cranes, Rigging, Air permits, and Utility Connections are not every-day events for funeral directors and cremationists. This is what we do and we love doing it. Send us a request on our Contact Us page, call 708-339-6810 or Email tom@cremsys.com.